More new video of Birankai North America’s many strong female instructors: This time of Suzane Van Amburgh, chief instructor at Multnomah Aikikai in Portland, Ore. The footage above is from a seminar Van Amburgh Sensei gave September 27 and 28, 2014, at Aikido Takayama in Mission, B.C. 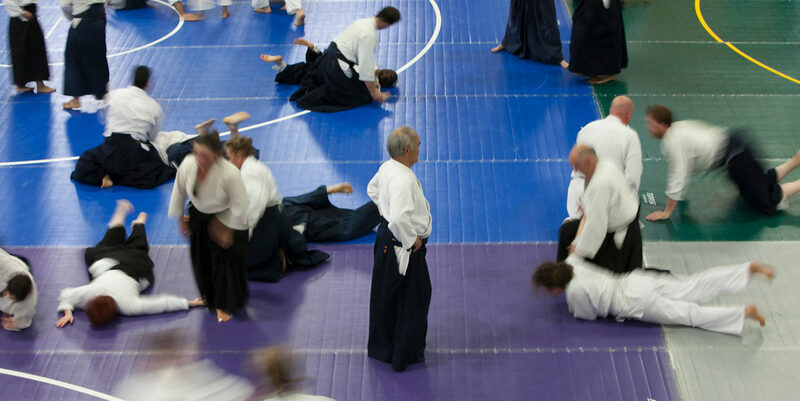 Van Amburgh Sensei, godan shidoin, has practiced Aikido for more than 30 years and has served as Birankai Northwest Regional Coordinator and Birankai North America 2011 Summer Camp Director. In addition to her Aikido teaching certification, she is a Guild Certified Feldenkrais Teacher. Thanks to Van Amburgh Sensei and Norine Longmire Sensei of Aikido Takayama for the footage and keep those videos of our Birankai instructors coming! Check out the great video above put together by the Birankai Scholarship Committee. Real Birankai students talk about the benefits of seminars as a part of training and development in the art. It’s eight minutes long but full of action footage! All of us in Birankai Aikido are working to fund seminars to raise our level of Aikido, Iaido and Zazen training through the T.K. & Mitsuko Chiba Endowment Fund. Our national goal is to raise $400,000 in four years and we are already funding seminars through the endowment. Thanks for your generosity and let’s keep Birankai Aikido strong!